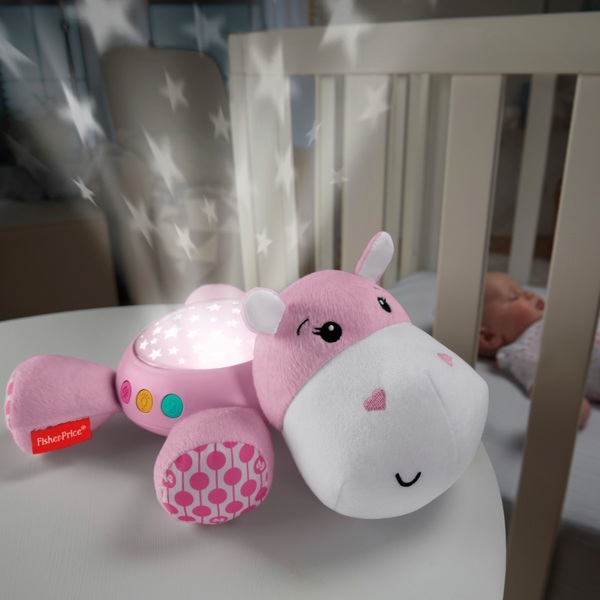 Soothe your baby at home or on the go with the Fisher-Price Cuddle Projection Soother. This plush hippo pal sits on a dresser or table top to help soothe your baby. It fills the room with starry lights and 30 minutes of calming lullaby music, nature sounds or white noise! Your baby will be drifting off to dreamland in no time!